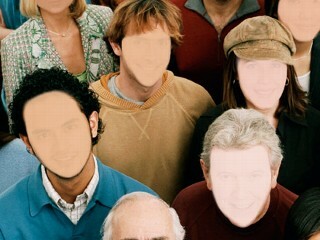 Prosopagnosia (from the Greek words: “prosopon” meaning face, and “agnosia” meaning not knowing) or face blindness, is extreme difficulty in recognising faces. This is caused usually by some kind of damage to the fusiform gyrus, which is a part of the brain that activates specifically to faces. As people with this condition are unable to utilize the static or slow facial signals for recognition, they tend to use secondary clues such as clothing style, the way they walk, hair colour and style, body shape, and voice. I am personally curious as to whether people suffering from prosopagnosia could still recognise rapid facial signals such as micro expressions as I haven’t come across any studies in this area to date. This entry was posted in Facial Expressions, Psychology and tagged Prosopagnosia, true lies. Bookmark the permalink. I think I recognize micro expressions. The one thing I have to comment about is the “usually caused by” bit. From what studies I’ve heard others quote (as well as from the proso community I see online), most cases are developmental, not caused by brain damage.